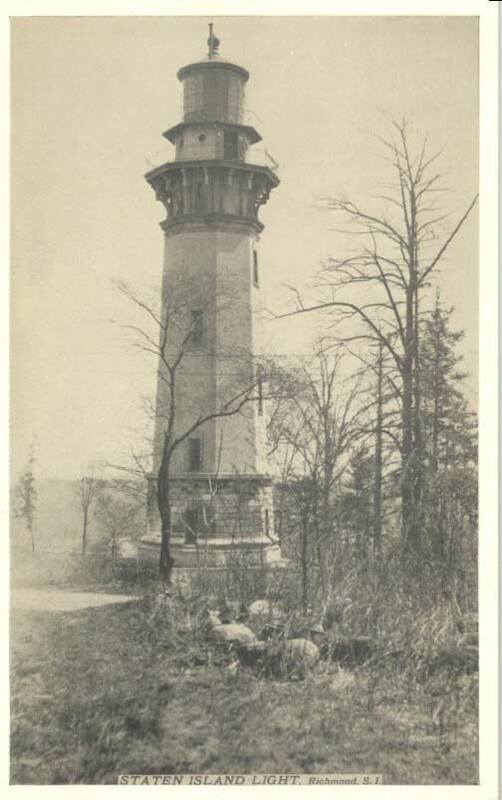 From the FNY archives comes this pair of early 20th-Century views of the Staten Island Lighthouse, which is still operated by the Coast Guard as an aid to navigation in Lower and Raritan Bays, and with all the foggy and snowy weather that has occurred in early 2014, it appears that its light has been especially needed. In its early days, the lighthouse keeper kept oil-powered pumps going to operate the lens. Horse-drawn carts needed to make the arduous climb up the hill, whose difficulty was exacerbated by snow and ice in the winter. 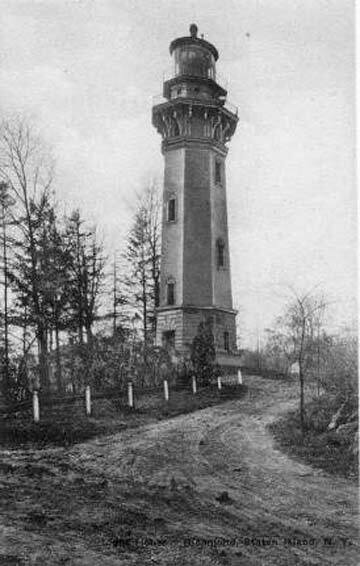 Today, a 2nd order Fresnel range lens it acquired in 1939 sends a beam 18 miles into Lower New York Bay that lines up with the West Bank Light off South Beach. It is run by the US Coast Guard today and is now fully automated. 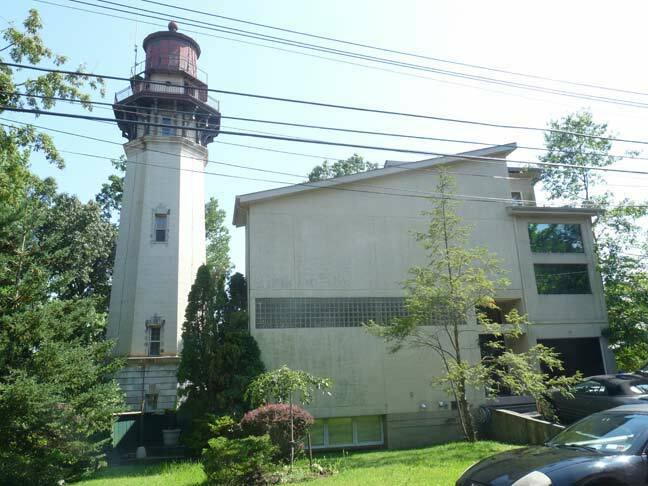 The old lighthouse keeper’s house next door has been renovated in recent years; it initially had the same bricked exterior of the lighthouse itself. Oddly, it shares a gate with the lighthouse, so the now-private dwelling’s owner has to deal with the occasional outsider and lighthouse maven snooping about.